Happy birthday indeed! A gift just may be the removal of this still born nonsense of the "Peace Process". A "process" whereby each new set of international players can come up with new ways to blame Israel for the troubles between herself and the disposable Arabs aka Palestinians. Nobel Peace prizes do not secure Israel's right to exist. I was rather neutral or uninterested in Israel until Entebbe. That mission told me the real nature of these people. They came for the people who had been kidnapped just because they were Israelis and Jews. What a contrast with our own government in Benghazi ! Never give a inch, Israel. Secure them borders and extend them where necessary to make the job easier. Keep the IDF sharp and produce many more like those who partook in Entebbe. Max. Wouldn't call myself an expert, but my impression is that in order to accept Israel as being a non-Muslim state, Palestinians would need to stop following Islam or somehow radically reinterpret the Quran. Happy Birthday Israel- thank you for showing the world what a democracy looks like in the middle east, and especially for attempting to improve the lot of the unfortunates living in Gaza. In good faith you gave them a functioning part of the desert full of greenhouses and infrastructure, the Pali-swinians destroyed it in weeks. Never give another inch of land to the destroyers. You have tied your fortune to the USA, and although that has worked well for you in past times the tides have changed, and they now are the enemies of democratic states and former allies. 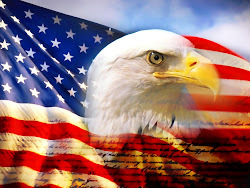 I hope you can weather the present uncertainty and that the good people of USA can nullify the present destructive forces governing their country. Despite the threats from Iran I hope your country remains for many years as a democratic beacon in the middle East. I'm with Anonymous/reader 1492. Islam's self-image is that it is the undefeatable, all-conquering final truth. Claiming that the Old and New Testaments have been "falsified", and hence excusing itself from reading them, Islam knows nothing of the Babylonian Captivity and denies the crucifixion of Jesus Christ (and completely misunderstands his glorification via the resurrection three days after his atoning death). Islamic doctrine knows nothing save triumphalism. Hence, to the Islamic mind, it is absolutely the height of impudence and a subversion of the whole order of things that Dhimmi, once subjected, should re-assert independence in lands once ruled by Islam. Hence, there are those who say, "Today Palestine; tomorrow Andalus." While I wish Israel well, the reasons above are why I doubt that the Middle East Peace Process will get very far. Let us, for a radical moment, take seriously the concept of "peace process": a process by which two countries at war make peace--usually quite gradually. That means a process by which they cause their war aims to cease to be mutually incompossible. There is, of course, a process that usually does the job. Sometimes it takes a very long time. I am thinking here of the Hundred Years Peace Process. Other times not: although fantastically destructive, World Peace Process I lasted only four years, and II lasted only six. Some are shorter still. In 1967, Israel triumphed over her enemies in the Six Day Peace Process. Kerry-talk not only seemed longer, it actually was longer. It is almost charming to watch how just "issuing rhetoric" by Kerry or Obama supplants real policy based on reality. It is as if the only players with any worthwhile say are no more clued in than the Ivy League faculties. Nodding heads and clapping hands from this quarter make no sound in the real world. Just finished reading Paul Johnson's "History of the Jews." A fascinating book with a great appreciation of the "ethical monotheism" that the Jews created and shared with the world. They have had their ups and their downs politically and economically but Johnson makes a great case for "philosemitism." The recent history of Israel and Zionism was very eye-opening too. Too bad the book stops circa 1986. Israel and Judaism have set an example for the good for millennia. May they continue their contributions to humanity. Good to meet you, Mr. Hall. I trust you know my friend, Mr. Wall? You are too kind. Not that it's prudent to turn away kindness to Jews--it's in short supply and getting shorter. But there is some about. Besides the magisterial Johnson, there's Charles Murray's Commentary article (Jewish Genius), and must read George Gilder's book The Israel Test. This will be a war of extermination and a momentous massacre, which will be spoken of like the Mongolian massacres and the Crusades. —Cairo’s radio station “Voice of Thunder” in the tense weeks preceding the Six Day War. And the laughter of Subatai was heard above Mitla Pass. Well done Israel, keep your bayonets sharp. I always enjoyed the rumor that, when Israel held the Sinai, that they planted salted nuclear explosive in three of the critical passes between Egypt and Israel, including Mitla. The US Army's version were called Atomic Demolition Munitions or ADMs. Supposedly, the Israeli versions were salted with sodium so that the explosion would move enough dirt to block the pass and the residual local radiation from the activated sodium radioisotopes would be fatal to those in reopening efforts. 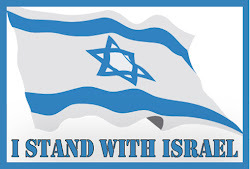 For me, it is Israel Forever, a true democratic bulwark of Blessed Goodness against absolute evil. Forever may she provide the beacon of life, in the Book of Life, that she does for all to see and behold. May G-d find continued reason to Bless Yisra'el forever.